One (1) Original Watercolor Sketch on 8.5"x11" paper (up to 10 minutes max per sketch). Characters need to be pre-approved by artist prior to event. One (1) Selfie with ticket holder and guest. Early Admission with separately purchased Admission ticket. 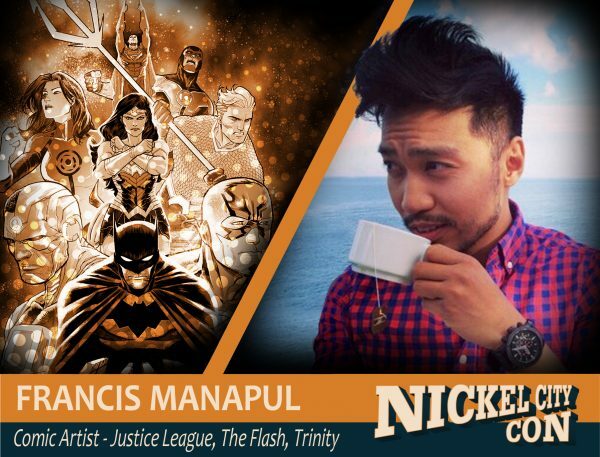 Three (3) Francis Manapul Signatures on ticket holder's items.